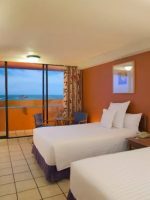 Located less than 15 minutes outside the local Mexican town of Zihuatanejo, this all-inclusive, family beach resort is situated on Mexico’s Pacific Coast. Families with more than two children or families traveling with multi-generations will love staying here because the Family Room Suites can accommodate up to six people, with space to spare. The main pool area is the perfect place to go for a dip and the kids will love hanging out at the kids’ club and the beach. 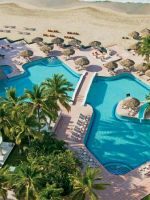 The all-inclusive, family resort offers several dining options — buffets and a la carte specialty restaurants — along with live musical performances each night. 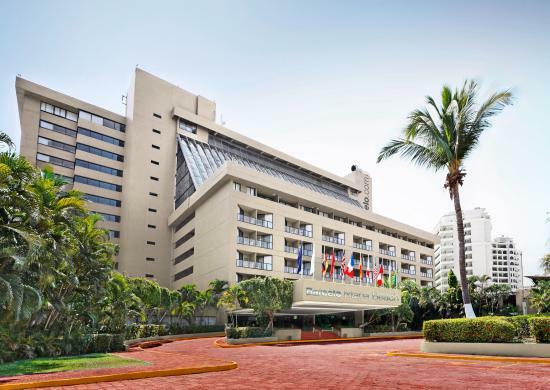 There are 398 guestrooms, suites and family rooms to choose from at Barcelo. Connecting rooms, cribs and rollaway beds are available upon request. The guestrooms feature two double or a king bed, a mini-fridge, air conditioning, a flat-screen television and a stand-up shower in the bathroom. Four people can fit comfortably in these rooms. The family rooms feature two double or a king bed and a separate living room area with two day beds. Some of the Family Rooms offer two living spaces, with a total of three day beds. There are two full bathrooms with a tub and stand-up shower and a terrace; some of the terraces feature a Jacuzzi tub. Multiple televisions can be found in these rooms as well. The family rooms can accommodate between five and six people. 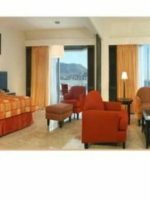 Some of the Family Rooms are also situated near the main pool area so request that at booking if you desire being near the pool. Premium level rooms feature one king or two double beds, a DVD player, coffee machine, laptop safe and a terrace. The bathroom features a stand-up shower. The upgrade to the premium level package includes additional amenities like free Wi-Fi, room service and a fully stocked mini-fridge that has higher-end beverage options (and a wider selection) in the guestrooms. The suites feature a king bed and living room area with a sofa. The suites (despite the name) are best for couples. Excellent service. Magnificient view. Beach is on site. Food was really good in buffet and restaurants. Drinks did not have real juice that's the only down side. I recommend this resort to anyone, single, couples or families. 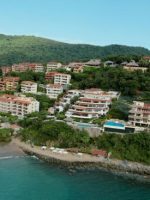 We spent a month in Ixtapa and went every afternoon to the beach restaurant at the Barcelo le Caracol, we experienced one of the Elder Gutierrez servers. Elder's service was fantastic, fast and always responsive to our needs. In addition, always in a good mood, we had a lot of fun with him. Thank you Elder and see you next year. Daniel and Aline. There are three pools - a family pool, kiddie pool and adults-only pool - so everyone will be happy poolside. Lounge chairs and umbrellas surrounding all of the pools and there is a splash fountain at the kiddie pool. Pool towels are provided. The white sandy beach is only a few steps away from the pool. Families will find even more lounge chairs and some palapas for shade. Tennis, basketball, giant chess and volleyball can all be found at the resort, and a golf course is located nearby. Kids, ages 5 to 12 years old, will love hanging out at the Kids' Club, which is situated near the Family Room Suites. Kids will find board games, XBox, foosball, Ping-Pong, movies, and more at this air conditioned area. Children are welcome to stay with the professional staff between 9 a.m. and 5 p.m. daily and enjoy the daily activities like arts and crafts and games. Live shows and musical and dance performances take place in the huge open-air theater called Plaza Mexicana. Dancers, a dinner-theater show, a Michael Jackson tribute, an acrobatic show and more are performed in the evenings Monday through Saturday. There is also a kids' show once a week. Plaza Mexicana is open from 9 to 10:30 p.m. 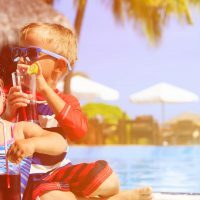 The all-inclusive package includes all meals, drinks, activities and a fully stocked mini-fridge that is refreshed daily. The upgrade to the premium level package includes additional amenities like free Wi-Fi, room service, early check-in and access to the premium level lounge, where premium alcohol and snacks can be found throughout the day. The fully stocked mini-fridge also has a wide selection of high-end beverage options in the guestrooms, as well when opting for the premium level. This buffet restaurant serves a delicious breakfast, lunch and dinner in an open-air setting. There are numerous options to choose from at each meal. Keep an eye out for some iguanas who like to hang out just outside the buffet and are happy to eat any leftovers. 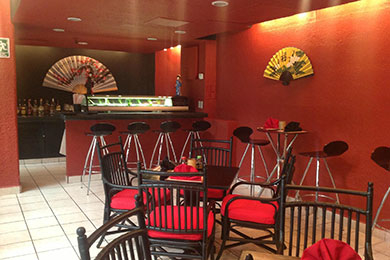 This specialty restaurant offers fabulous sushi options for dinner only. Reservations are required for one of the three dinner seatings. This specialty, a la carte restaurant serves a delicious Spanish menu for dinner only. Reservations are required for one of the three dinner seatings. This snack bar area is located near the pool and is open for lunch from noon to 6:30 p.m. This buffet restaurant offers water views for lunch and is open from 1 to 5 p.m. 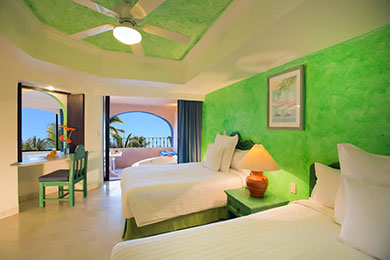 The all-inclusive package includes all meals, drinks, activities and a fully stocked mini-fridge that is refreshed daily. The upgrade to the premium level package includes additional amenities like free Wi-Fi, room service, early check-in and access to the premium level lounge, where premium alcohol and snacks can be found throughout the day. The fully stocked mini-fridge also has higher-end and a wider selection of beverage options in the guestrooms, as well when opting for the premium level. Complimentary Wi-Fi is included with the premium level package. If you do not elect the premium package, Wi-Fi packages can be purchased for a daily, per-device fee. The gym, which is situated not far away from the Kids' Club, offers cardio and weight machines and fitness instructors are available. 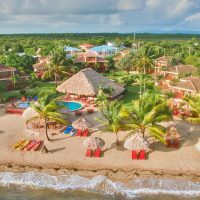 Winter is the busiest season at this tropical hotel, but truly it is always busy here. Most people (both local and international) are visiting from November through March. January, February and March are busiest with travelers from the United States and Canada and the Easter Holy Week is busiest for Mexican travelers. July is also a busy month for local travelers to visit. 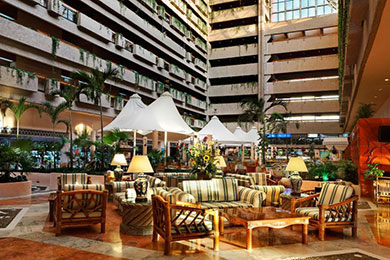 The Ixtapa/Zihuatanejo Internaitonal Airport is about 20 minutes away from this hotel. 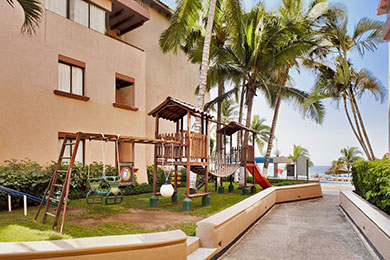 Barcelo Ixtapa is a compact resort so everything is a short walk away. A rental car is needed to explore Zihuatanejo, which is less than 15 minutes away. Taxi services are also readily available. Adults can enjoy some relaxation and quiet time at the spa, where a variety of treatments are available. After the evening show, the adults can head to Sanca for even more live music or DJs. Bar Sanca is open until 2 a.m.